The perfect storm is brewing for the fintech industry. According to Capgemini’s World Fintech Report 2017, 50.2% of worldwide customers report doing business with at least one non-traditional firm. As both consumers and businesses become hungrier for new innovations, VCs expand funding, technology evolves at a rapid rate, and barriers to entry decline, fintechs are poised to make significant headway as global leaders of financial change. Fintechs also have an angle in as many traditional financial institutions have left people and businesses wanting. These unmet customer needs are a strong driver of fintech as a whole, but there are some challenges to even the most promising of fintechs who can address these gaps. By their very nature, fintechs are forward-thinking and revolutionary. As such, adoption typically requires an intermediate to significant behavior change on the part of users. On one hand, there are customers who are highly active in their financial lives and who feel they have a firm grip on how they manage money. They may be set in their ways, with a high reliance on traditional banking and financial institutions to get them where they need to go. On the other hand, there is the more passive group – those who have not put significant thought into managing finances and who are “free agents” to whichever technology, institution, or app that can streamline money management. This group, while potentially more open to emerging technologies, still faces a barrier to use in that they have never actively managed their finances and may be hesitant to do so without an appropriate and well-communicated value proposition. And on the B2B side of fintech, enterprises are slow to adopt new technologies, particularly ones that threaten to disrupt business as usual and require a massive overhauling of other internal processes (or that appear to). Legacy systems are deeply entrenched cogs that can inhibit innovation and ultimately, cost a ton in lost revenue and opportunity. Marketing fintech is no easy feat. In any case described above, there is the problem of inertia in signing up and onboarding customers for fintech companies. The “Money Masters” are set in their ways and may be hesitant to change their behaviors, even when presented with compelling value propositions. The latter group – The “Idle Investors” – are hesitant to take any steps at all as it would require active thought and management of money. Add to this the regulatory requirements of fintechs which lead to additional hoops for customers, and bringing on new customers is a tall mountain to climb. B2B fintech faces even more challenges. Risk-averse corporations with PCI compliance and other regulatory requirements are leery of and slow to adopt emerging financial technologies. Innovation, in many senses, seems to be at odds with risk mitigation and compliance. Helping businesses understand that this is not the case will be key to fintechs trying to break into the market. In fact, alternative fintech solutions may be the key to keeping compliance in check for the enterprise. A recent Accenture report based on a survey of 150 compliance executives shows that eighty-nine percent of financial services industry executives around the world expect more cost increases within compliance departments over the next 24 months. The top three compliance risks identified? 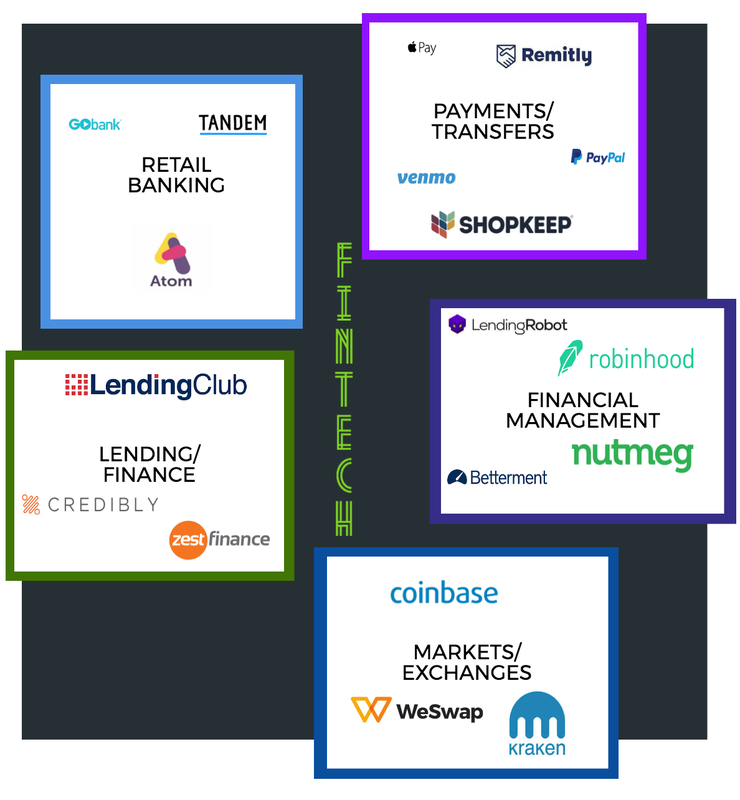 These are the very things many fintechs are helping to combat. As the financial services industry continues to evolve, adopting alternative and advanced technologies will be paramount to maintaining pace in the digital age. Helping corporations and institutions understand the connection and relevance is the key hurdle. Fintech – Too Complex to Buy? On top of inertia is the reality that the financial services realm has long been shrouded in mystery and opaqueness when it comes to fees and charges consumers face. The complex nature of how the money wheel turns can be a big turnoff to customers. And where it isn’t a big turn off, it makes it extremely difficult to see where there is time or money to be saved. This lack of transparency makes it difficult for new fintechs, many of which offer time savings, lower fees or charges, or both, to make their case. Dealing with uneducated audiences makes information-sharing and active education a foundational need for marketing fintech. What might be a simple “switch” campaign for other companies must become a course in smart finances for fintechs. Users and customers need strong, compelling reasons to switch and change their behaviors – and fintechs are going to have to fill in a lot of backstory to adequately make that case. Things are just as complex on the B2B side, particularly with payment processing. As merchants continue to seek out sleeker options to accept credit card payments, the payments industry continues to soar. A McKinsey & Co. report predicts the industry will grow to $2.2 trillion by 2020. As an industry traditionally dominated by banks, fintechs serving business commercial customers have an opportunity to score big by removing complexity from payment processing. Where banking institutions are often stifled by regulators (resulting in stricter underwriting for merchant accounts), alternative payments companies have the agility to pick up the slack. They also have the opportunity to partner with traditional banking institutions to streamline payments for business commercial customers. Another key friction point in gaining new customers is the lack of trust. Fueled by the opaque nature of fee, rate, and charge structures in the industry and the well-publicized missteps by traditional financial institutions, erosion of trust in all financial sectors is a real problem. Like scorned lovers, consumers are once-bitten, twice shy when it comes to money management solutions. On the surface, it might seem as though the banking crisis (and continued snafus by major financial institutions) might push consumers right into the arms of fintechs. That would be short-sighted. While consumers may be open to non-traditional alternatives, they are non-committal to new options, at best. The Capgemini report notes that customer inclination towards fintech firms leads in China and India, with the west trailing behind. In the U.S., roughly 45% of customers use at least one non-traditional firm for financial services (compared to 84% in China). People and businesses want to know their financial well-being is in good hands – and that their money isn’t going to be unnecessarily frozen or evaporate into thin air. This duality of wanting something new but needing the confidence of a tried and true solution presents challenges to marketing fintech. Being too edgy puts people on edge, while sticking to the traditional script pours salt on the wound. Successfully marketing fintech requires a whole new script. With B2B fintech, trust is on the decline, too. In looking once again at the payments space, e-commerce alone has caused disruption. Traditional merchant banks are risk-averse and impose strict contracts on merchants that fall outside of the “low-risk” payment processing category. Unfortunately, this high-risk category includes a large portion of online merchants. Where they once had no recourse, these disillusioned merchants are flocking to alternative payments solutions to find more streamlined solutions, lower rates, and less friction. We’ve already seen this happen with smaller merchants who use aggregators like PayPal and Stripe to accept online payments. 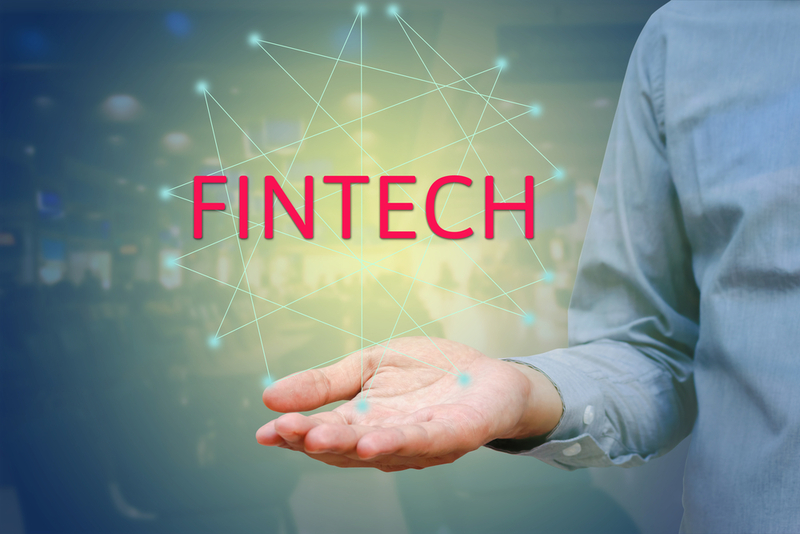 This trend will continue as more fintechs and alternative payments companies roll out solutions that cater to mid-level and enterprise customers. The problem for both B2C and B2B is bigger than creativity and massive advertising dollars can solve. This is actually great news for fintech startups bootstrapping by on minimal marketing budgets. Long-term education in the name of the game and quality content is the winning play. Content, as a foundation for marketing fintech, surmounts all of the challenges listed above. 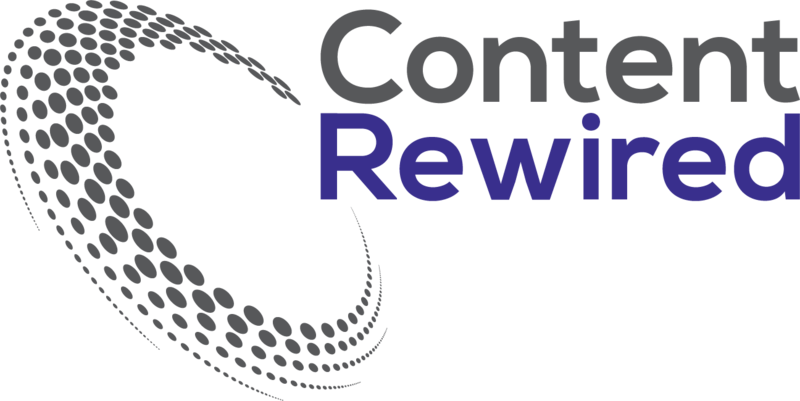 When done well, content marketing can overpower the inertia from every angle by helping prospects understand the core benefits to adopting a new system. Whether through video, case studies, podcasts or infographics, content can make a compelling case to change behavior. Peer review is a big part of this; working with existing customers to produce stories that illustrate real-life examples of success can move people to take action. For B2B, it’s dynamic case studies. For B2C, it’s ratings and reviews splashed in bold print. Granted, that’s just the tip of the iceberg. Producing great content as part a strategy for marketing fintech yields increased traffic, better and more frequent conversions, and bolsters your reputation as a trusted source of information. Content marketing educates businesses and consumers, fosters connection and relationship-building and increases trust. These “soft” benefits should be taken seriously; trust and connection drive meaningful business results. Content marketing can also cut through the confusion, frustration, and apathy surrounding financial services. Fintechs that are willing to be boldly transparent and help their audience understand the inner workings of rate structures, charges, monthly fees and any other pricing model will position themselves as heroes. Providing foundational knowledge is “edgy” in and of itself. It makes both consumers and B2B decision makers feel comfortable and confident enough to make decisions. It builds trust where it was once broken. It makes it easier to explain a fintech’s core benefits and value proposition. It’s a win-win all around. This entry was posted in Fintech and tagged marketing fintech. Bookmark the permalink.